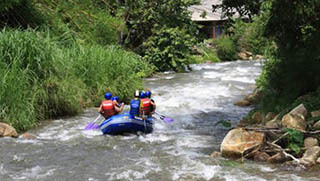 Krabi Activities by Easy Day Thailand – Selection of Activities in Krabi Province organized by Easy Day Thailand. Our experienced staff is always available to assist you with your Krabi holiday plans. 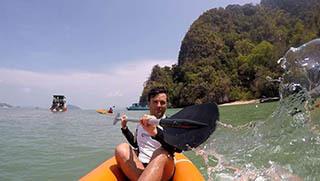 We highly recommend kayaking around the Hongs and mangroves of Krabi, it’s an ideal soft adventure for all the family. 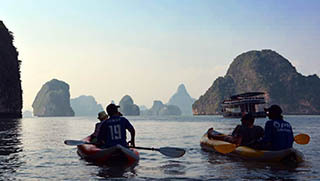 Kayaking trips also include swimming and snorkeling, some include elephant trekking. Many packages available. 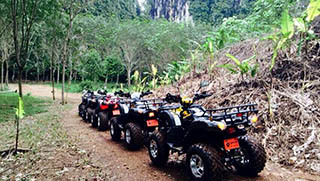 Daily ATV Tours in Krabi you can combine with other activities such as Elephant Bathing, Elephant Trekking, Kayaking, and Sightseeing. Choose the package that suits you best, either as a Half Day or a Full Day Tour. Pamper yourself at a luxury Krabi Spa Retreat with natural hot springs. Enjoy rejuvenating treatments and traditional Thai massage in a fantastic natural environment. Professional SPA tratment in the most relaxing atmosphere. unforgettable Krabi Activity or Tour. 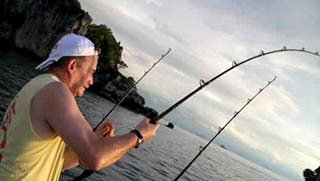 Join-In Krabi Fishing Tours – Fishing only or in combination with snorkeling and swimming. Daily Full Day & Half Day Tours. Choose the package that suits you best in the wide range of choices, including private charters perfect for groups. Enjoy a great day at sea! Krabi has a few good local sites but we recommend that you take a day dive boat to Phi Phi, Shark Point or King Cruiser Wreck. 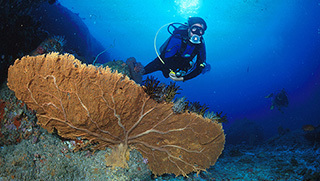 You can also get to Koh Lanta’s best dive sites in season where Manta Rays are a common site. Not a certified diver yet? Do your course in Krabi! It would be a shame not to try climbing while in Krabi. 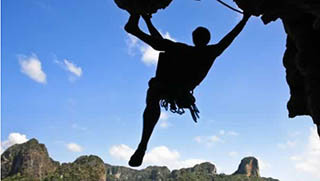 Expert climbers know all about Krabi’s climbing attractions but you don’t need to be spider man to have a go. You are welcome whether you are an experienced climber or a beginner, don’t miss Krabi’s karst walls! Pileh Lagoon is a small inlet on the second biggest of the Phi Phi Island archipelago, and actually is separated from Maya Bay (The Beach) by a sheer limestone cliff face. The water inside this beautiful lagoon is of the most crystal clear azure waters you may have ever seen.